In Part 1 of this post, we left Israel in limbo waiting through 400 years of silence from God. I can’t imagine living my whole life without any sign or word from God. Finally, God breaks His silence, and He does it through a series of spectacular angelic visitations. To our eternal benefit, God sends a heavenly baby to earth and in that action He does away with the law as a means of forgiving sin. No one had been able to keep the law until, that is, Jesus came to earth and lived a sinless life. Jesus did what no one before Him was able to do and no one after Him will ever be able to do. God put the penalty of the world’s sin on Jesus. His death on the cross included payment for my sin and your sin. God then forever broke the power of sin and death with Jesus’s spectacular Resurrection three days after His death. We now have a new plumb line: the cross. When we confess our sins and accept Jesus’ payment for them on the cross, we are forever in true with God because of the plumb line of the cross! And each day, we can align ourselves with Jesus and the Holy Spirit to make sure we are continually transformed into the image of Christ (2 Corinthians 3:18). God has always provided a plumb line for us. 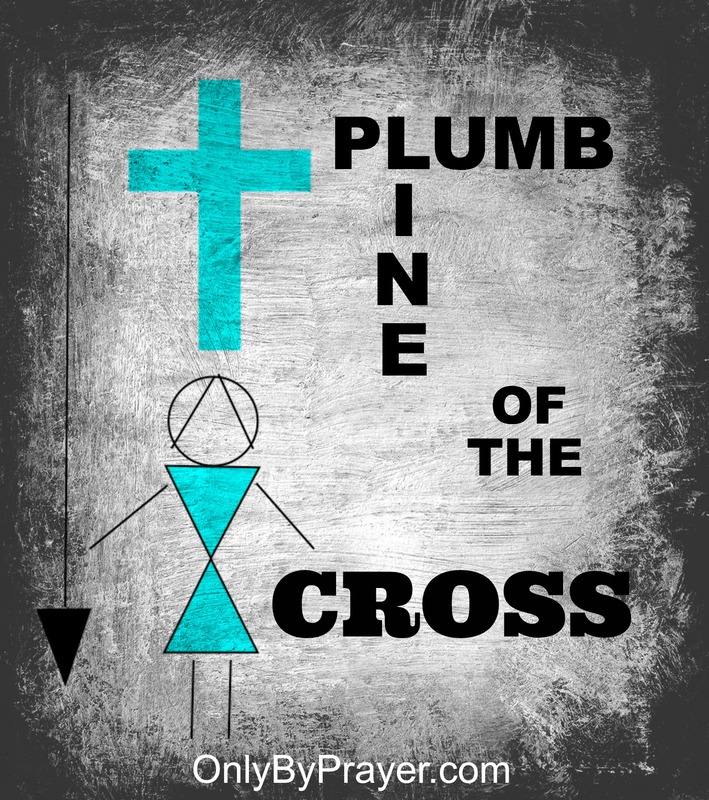 For the rest of history, that plumb line is Jesus and the cross. I admit that I am a sinner. I ask that you forgive me for my sins. I realize on my own I can do nothing to make up for them. I accept Jesus’ death on the cross as payment for my sins, and I ask Him to take charge of my life. Amen. If you just prayed that prayer and you are able to do so, please leave us a message below in the comments. God bless you. Excellent blog post, Jane. I love the comment, “… For the rest of history, that plumb line is Jesus and the cross.” So glad I do not have to live by the law. Thanks, Mary! I am too. Jesus gives us the Holy Spirit to help us so we don’t have to do it on our own. I’ve never thought of the cross as the plumb line before. Thanks for some great insights! I think the cross is a plumb line in two ways — it shows us the path to righteousness (through God), and it shows us how to act. Jesus says, “pick up your cross and follow me.” We’re not bound by the law anymore, but we are called to sacrificially serve God. Thanks for your thoughts, Amber! Yes, the cross is our salvation and our call to serve God by serving others too. I am thankful that grace is now the means by which we are changed and made into Christ’s image. Grace gives us the hope of real and lasting change.